Our online lives have opened up a whole new area that needs attention before we die. Most people know they need to have a will, and that it’s a good idea to pre-plan their funerals and make other arrangements because one day, every one of us will die. All the digital files, photos, posts and other accounts you leave behind might cause a lot of inconvenience – even fraud or identity theft – for your loved ones to clean up. 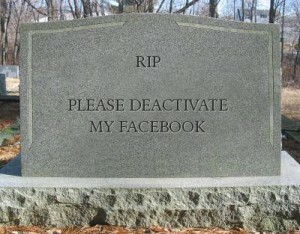 Do you really want your Facebook account to outlive you? 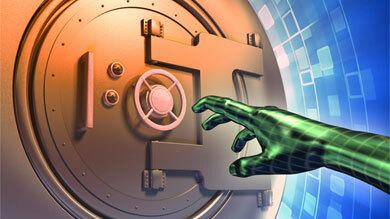 What will happen with access to your online bank accounts? Here are a few tips from the FTC to figure out a plan for your online life after death. Count your accounts. Make an inventory of your digital life, including accounts for email, social media, blogging, gaming, and cloud storage. Set up a spreadsheet or other file to keep track of each site’s name, URL, your user name, password, your wishes for each, and other information that might be necessary for access. Some of your accounts may involve money – either real-world or online currencies – and may require additional attention. Don’t attach your inventory to your will which becomes a public document after your death. Get in the know – now. Many accounts will let you make arrangements now or name someone to manage the account after your death. Research your options. Who can help? You might want to name a digital executor to handle all these tasks after your death, preferably someone who has experience with online accounts and will understand how to carry out your instructions – or make decisions about issues that you might not have foreseen. You can select a friend or family member to be your digital executor or you can hire a third-party service to help you. 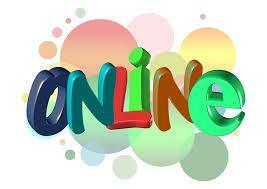 Search “online life after death” or “digital” and “afterlife” or “legacy” or “executor” to learn more. Are you dealing with your digital legacy? £25 billion. That is the current figure of unclaimed digital assets in the UK alone. information contained in documents, such as emails. Facebook – since 2009 Facebook has allowed accounts to be memorialised so that family and friends can continue to post photographs and comments on a deceased account holder’s timeline. However, logging into or editing a memorialised account is not permitted. Google – since April 2013 Google’s inactive account manager allows account holders to decide how their stored data should be dealt with once they have died. Apple/iTunes – this is a licence only and there are no rights to reproduce content. Account holders are prohibited from passing on details of ID and passwords to others. Apple/iCloud – these accounts are personal to the account holder and cannot be transferred on death. Twitter – accounts terminate immediately on death. Most wills contain a clause dealing with personal chattels. Computer hardware (eg the computer itself) is a tangible asset and falls within the definition of personal chattels, but digital assets are intangible ones and therefore are not covered by the definition. We suggest you consider amending the usual personal chattels clause in the will to include digital assets, or make a separate provision or leave them to be dealt with as part of your general residuary estate. Make a list of digital assets that have financial or sentimental value. Choose who should deal with the digital assets. Remember this could include access to emails so privacy may be an issue. Keep records of online accounts, usernames and passwords regularly updated and separate from the will. Consider using a third party provider, such as an online password protection programme, to help. Make a will and consider digital assets carefully. For more information about how to protect your digital assets in your will please speak to any of our lawyers in our wills, probate & trusts department. In my previous digital estate planning post, I posed the question regarding the difference between the decedent in the 1990’s who threw away all his bank accounts, photos, and family letters before death, and the decedent in today’s age who has stored all of this information online and fails to provide the password. Before answering this question, estate planning is composed of two major classes of decisions: (1) heirs of the estate and (2) fiduciary appointments. Fiduciary appointments typically consist of naming individuals to act in various roles on a client’s behalf upon death or incapacity, such as personal representative/executor, trustee, power of attorney, guardian/conservator, etc. Simply defined, a fiduciary is one who is charged with making decisions on a person’s behalf, either in accordance with specific instructions or based on the best interests of the person represented by the fiduciary. Keeping this fiduciary concept in mind, we can now jump back to our original question. The simple answer lies in who possessed the information. When information was in a paper format, the decedent was the one who possessed it. However, when information is stored in a digital format in a place other than the decedent’s personal computer, that information is no longer possessed by the decedent. Instead, the information is now possessed by an online service, and is stored in their servers. Thus, there are two issues central to digital estate planning. First, a decedent may now have fiduciaries which are named outside of their estate planning documents. Second, a decedent’s estate planning documents may not effectively dispose of their digital assets, due to a conflict with the terms of service of the information fiduciary. Now that we have effectively framed this issue, future installments will examine how these legal issues can be resolved, and whether an outside non-lawyer service is an effective mediator of such issues.